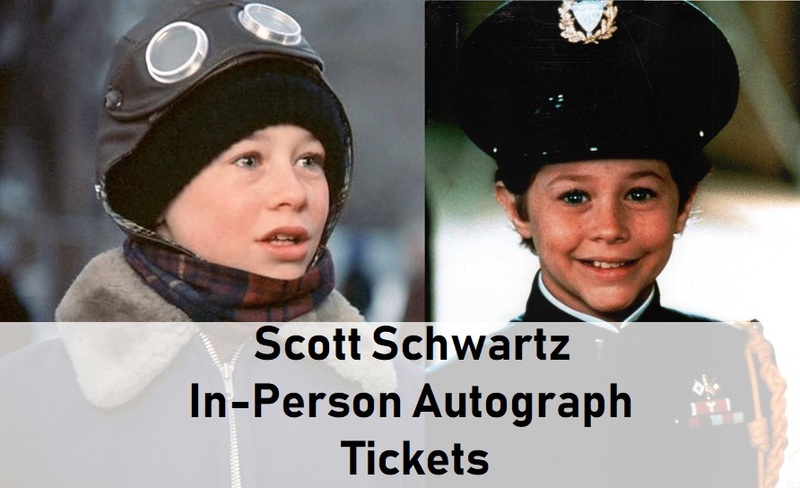 This listing is for autograph tickets to our Scott Schwartz autograph signing at our Anaheim store on Saturday, November 17, 2018. This listing applies to customers who ARE attending the signing in person. You do NOT need to pre-order tickets to this event, but if you wish to, this listing is where to do it. If you are NOT attending the event, you can place your pre-orders on the Scott Schwartz signing page. Small autographs include autographs for flat items up to 18×24 and toys/figures. Large autographs include autographs for full-size movie posters, Red Ryder bb guns, and Leg Lamps. If you place a pre-order for In-Person tickets here on the site, just come to the signing to claim your tickets via Will-Call at the signing.